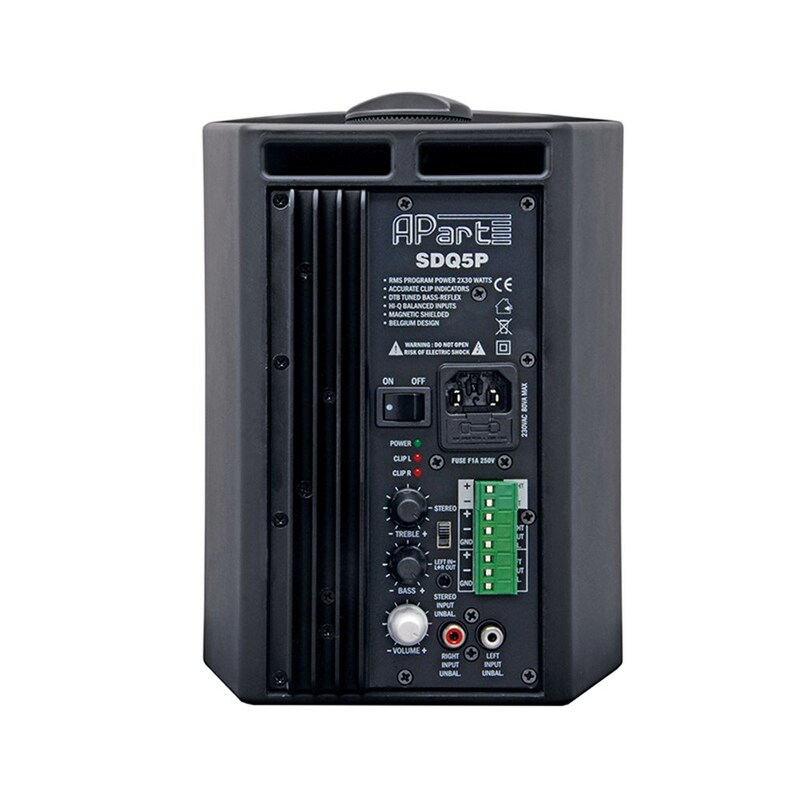 SDQ5P is a stereo loudspeaker set with 1 active and 1 passive loudspeaker that stands for reliability, affordability, dynamic music and detailed voice reproduction! The active stereo amplifier loudspeaker has a low distortion high efficiency 5.25” woofer and one output is fed to the second linkable passive loudspeaker. The SDQ5P active loudspeaker is equipped with volume and tone controls, accurate clip indicators and a stereo 2 x 30 watts amplifier. This amplifier comes with high quality balanced inputs, a stereo RCA cinch input and a mini stereo jack input (PC, MP3 player ...). The balanced input allows long signal line without interference. 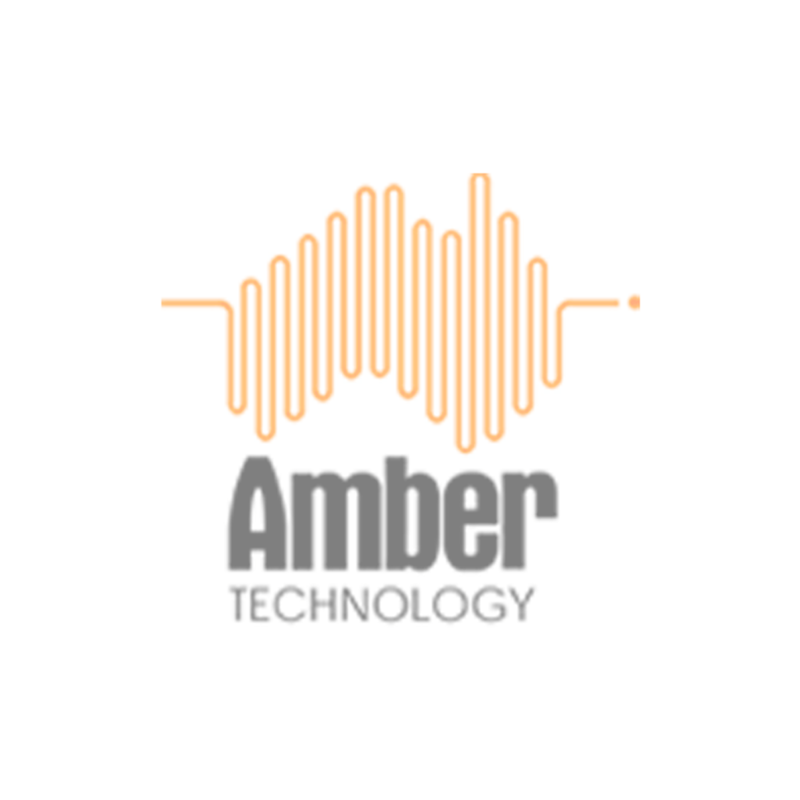 You will not hear any hum or buzz, because there will be no ground loop issues when connecting the SDQ5P with notoriously difficult laptops, LCD projectors or interactive white boards. 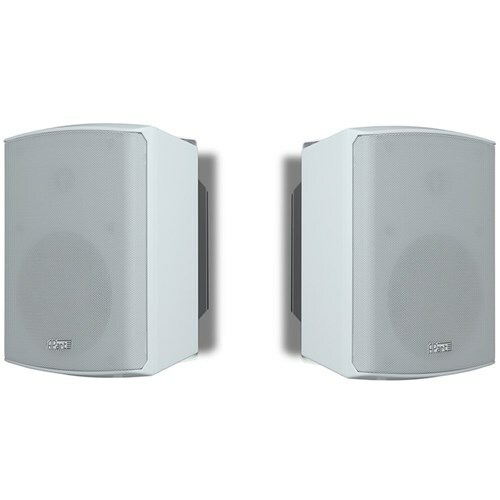 These loudspeakers will give you a variety of sound possibilities when used in conjunction with a flat screen, projector or smart board. With their magnetic shielding these loudspeakers are the ideal and cost effective audio solution for your classroom, boardrooms or meeting room. Due to its stylish design, a seamless integration into every interior is assured.